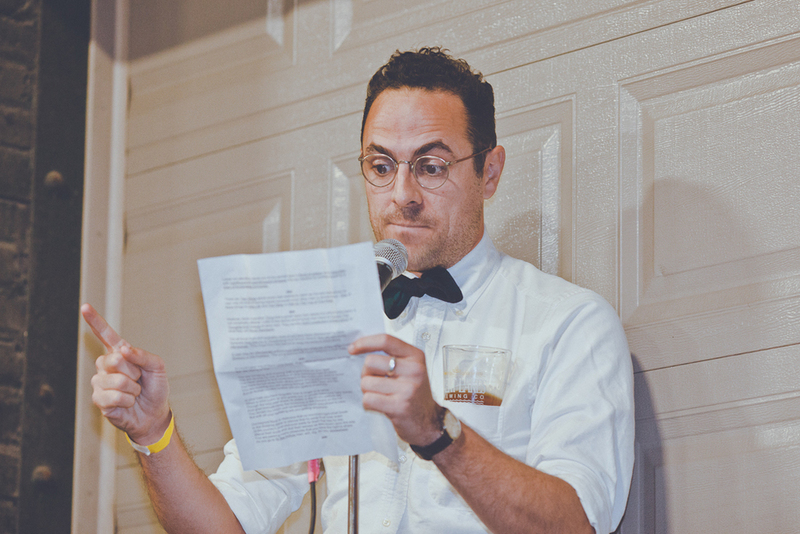 This month marked the second release of Mash Tun, Chicago's craft beer journal published by Ed Marszewski from Maria's Packaged Goods in Bridgeport on Chicago's South side. The journal is quickly finding its way, continuing to tell stories that are both intelligent and entertaining about beers past and present. 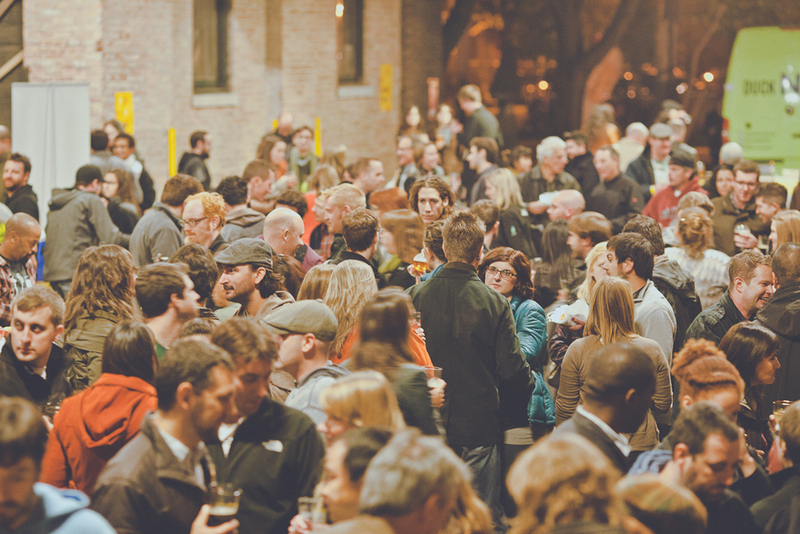 The second Mash Tun festival, essentially the release party, was once again held in the old loading docks of the Bridgeport Art Center, and attracted some of Chicago's biggest beer geeks, but also an enthusiastic neighborhood crowd looking to have a good time. A few hundred people filled the atrium on an especially chilly night — but what most of them didn't know was that the chill they were feeling wasn't just the breeze. 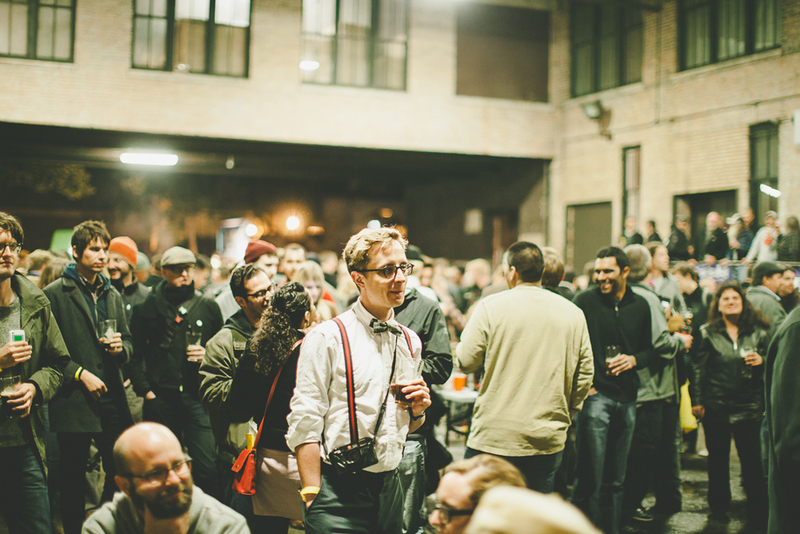 At this version of the Mash Tun fest, we were bringing a ghost back to life from Chicago's past. At the turn of the century, my great great uncle, Samuel Elsworth Kiser and his sister, siblings of my great great grandfather, Almond Henry Kiser, packed up their young lives in Pennsylvania and moved west to the great burgeoning metropolis of Chicago. But no one in my immediate family knew this, or had really even heard of him. S.E. as he became known, went on to become a semi-famous poet and newspaper man, with several publications under his belt including poetry and joke books, publications like the Saturday evening Post and the Herald Tribune. He even worked with political cartoonist John T. McCutcheon to create a number of illustrated poetry volumes like "Love Sonnets of an Office Boy" in which a teenager pursues the affections of a buxom office secretary, and hilarity ensues. In 2003, after graduating as both a studio artist and English lit major in Pennsylvania, I also unwittingly made my own journey to Chicago to pursue my MFA in poetry, not knowing at the time that S.E. Kiser ever existed. After doing some casual genealogy research and discovering the citation "S.E. Kiser — Poet" in an old family journal, I dug in and discovered that may of his books were in the private collection of the Harold Washington Library. A remarkably resonant life story unfolded before me. 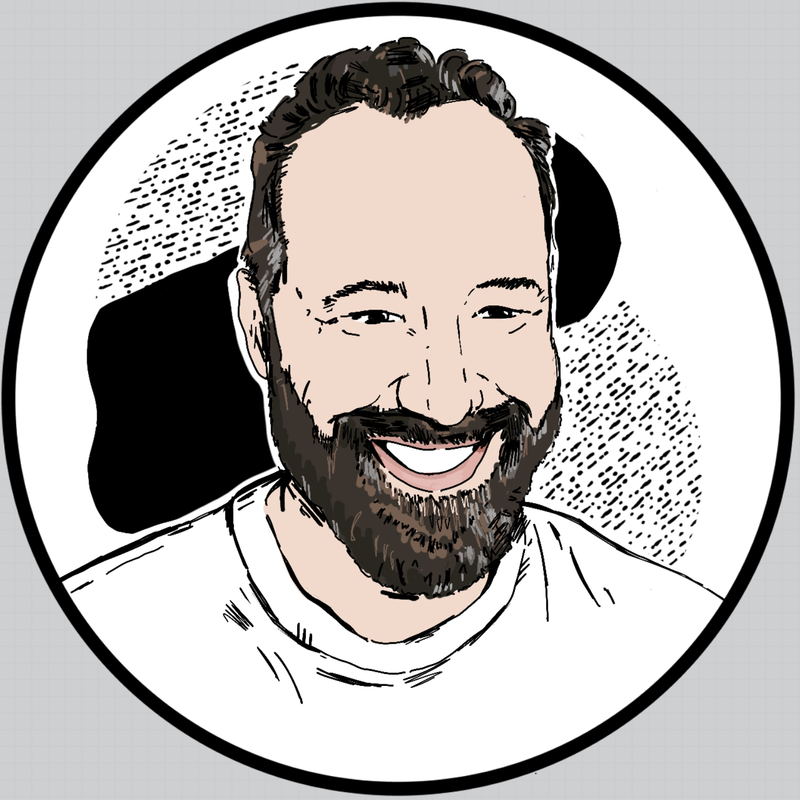 I also came to Chicago, at the turn of a new century, wrote and published poetry, crafted jokes with an illustrator to create comedic social commentary cartoons, and may or may not have lusted after an older, chesty co-worker or two. But it was there in the lofty, sun-bathed private holdings room of the library, gently turning pages with white cotton gloves, that I stumbled upon the final element of our uncannily parallel lives. In October of 1912, shortly before prohibition, S.E. stood in front of the Bartender's International League of America in Cincinnatti, Ohio to deliver a thumping blow to the conservative, teetotalers movement then crawling across the country. The league's publication, The Mixer and Server, recounts this event, where S.E. denounced the prohibitionist movement as debased, fearful, and likely more corrupt and sinful than the very drug they were trying to remove from our daily lives. It went without saying that "God had made the springs and the streams and the lakes" from which to refresh ourselves, S.E. points out. But "God had also made the grapes and the rye and the corn and the barley and the hops, and that He had also given men the intelligence that was necessary to cultivate them and to put them to the various uses which they serve." At the 17th annual convention of the National Wholesale Liquor Dealers Association of America, S.E. Kiser delivered his attack, using his poetic spirit in a righteously angry protest, pointing out that for those that wish to strip life of it's pleasures, there is only death to look forward to. 100 years almost to the day at the Mash Tun festival, myself and friend Max Wastler, with a small crew of costumed bartenders wearing suspenders, hats and other period garb, worked our way through the crowd to a loading dock at the end of the atrium, hopped up above people's heads and called attention to this terrible, dark force of temperance moving across the country. For the next 10 minutes, Max became S.E. Kiser in all his poetic fury. Photos of the performance below by Chicago photographer and bestie, Joshua Longbrake, seen above in hunter plaid. But, oh, foolish, blind brother, are you getting anywhere? But, with all your agitating, are you getting anywhere? But with all your little speeches, are you getting anywhere? As you go to fill the hollow men will dig for you somewhere. Less than a decade later, S.E. 's dark fear of the temperance movement came true in the form of the prohibition act of 1920. As I continue to dig in to his personal history and times in Chicago, I hope to uncover his continued protest in a special form of civil disobedience. Certainly a man who stood so tall on behalf of an industry and lifestyle didn't shy away because of a single lost battle. Cheers to S.E, who has forged ahead of me in so many bewildering ways. As a writer and photographer of brewing and drinking culture around the world, and right here in Chicago, I'm astounded to find that my great great uncle is my spirit animal. Special thanks to our re-enactors : Hillary, Lindsay, Justin, Marta, Nathan, and especially Max Wastler of Allplaidout.com and Buckshotsonnys.com. You all looked swell. 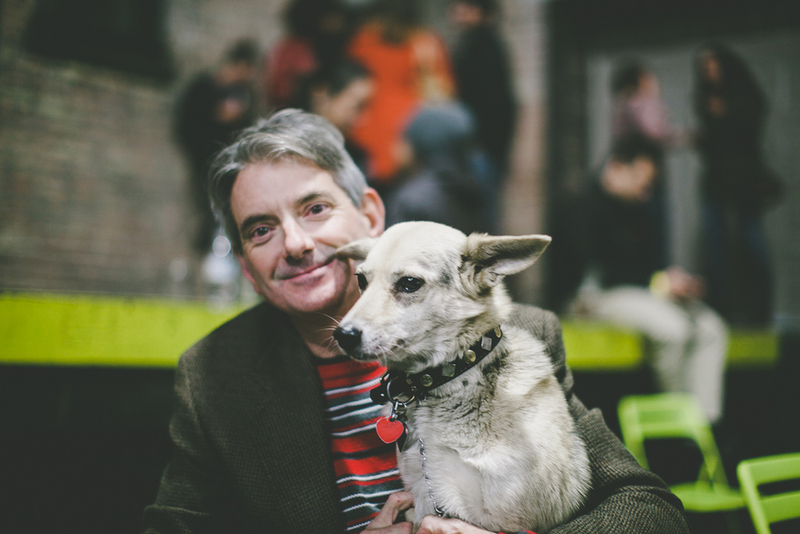 And thanks to Ed Marszewski for continuously putting out a great beer journal, and one of Chicago's most enjoyable beer festivals. To Mash Tun, "the hair on top of our heads, and to a long life!"